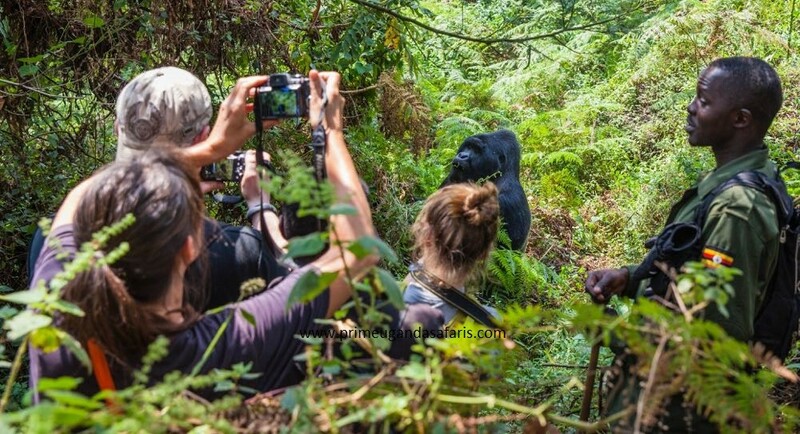 The 10 days wildlife safari in Uganda or 9 days wildlife tour, chimpanzee trekking & gorilla trekking safari Uganda is a round trip to safari parks, a sanctuary and 1ake adventure experience. 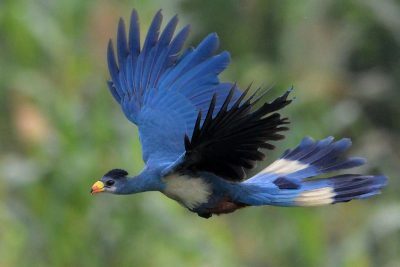 Your exclusive round trip to Uganda through northern Uganda to south Western Uganda features Rhino tracking at Ziwa Rhino sanctuary, game drive and boat cruise at Murchison Falls National Park, chimpanzee trekking at Kibale forest national park, gorilla trekking at Bwindi impenetrable national park and take a traditional dugout canoe ride at Lake Bunyonyi. You anxiously arrive at Entebbe international airport where a Uganda safari driver guide welcomes you to the Pearl of Africa, briefs you about the safari in general then drives you to a booked hotel/lodge in Kampala-Uganda’s bustling capital city. Early next morning, you are driven to Murchison Falls park starting off the wildlife encounter experience with a stop at Ziwa Rhino sanctuary for rhino tracking on foot 128km to Murchison falls park. You spend the night at a close accommodation to Murchison falls park where you then do a game drive, boat cruise and hike to the top of the falls the next day. 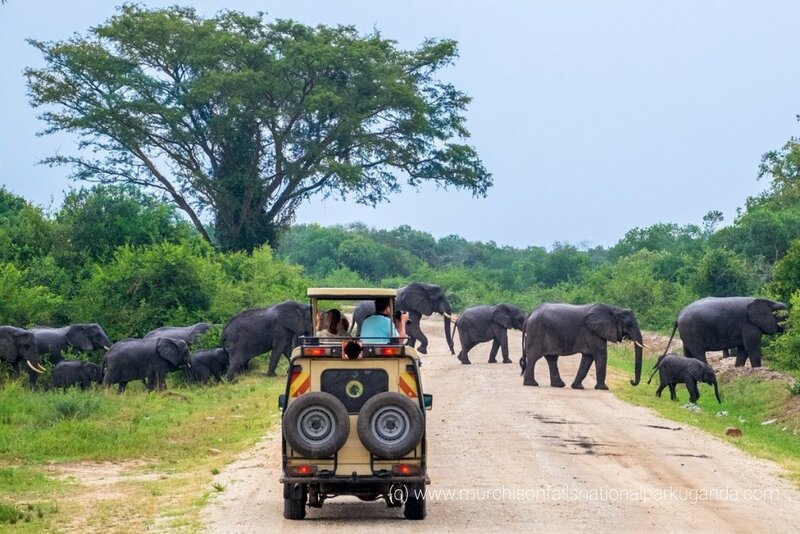 From Murchison falls national park, you are driven to the shores of lake Albert for a wilderness experience then continue to Kibale forest national park for Chimpanzee trekking and bigodi wetland nature walk the next day. From here you continue to Bwindi impenetrable national park where you do gorilla trekking then take a paddle canoe ride to Lake Bunyonyi. From Lake Bunyonyi the next day, you are driven back to Entebbe international airport for departure with a stop at the equator line. Day 1: On arrival at Entebbe international airport, a Uganda tour guide picks you up and starts the transfer to one of the hotels in Kampala where you spend the night. Day 2: Early morning after breakfast, your driver guide will pick you up for a road trip to Murchison Falls National Park, you stop at Ziwa Rhino sanctuary for rhino tracking. Day 3: You go for an early morning game drive, have lunch and undertake an evening boat cruise at Murchison falls national park. Day 4: You take another morning game drive then be driven to Hoima past the scenic Albertine rift having bush dinner at Lake Albert lodge in the evening. Day 5: After a relaxed breakfast, you are transferred to Kibale Forest national park arriving in the evening with a tour to the scenic crater lakes. 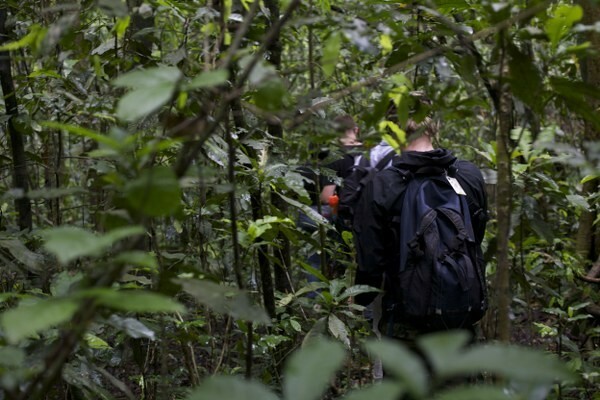 Day 6: In the morning, you go for chimpanzee trekking at Kibale forest national park for about 2-4hours then take a nature walk at Bigodi wetland in the evening. Day 7: After breakfast, you are driven from Kibale forest national park to Bwindi impenetrable national park arriving in the afternoon. 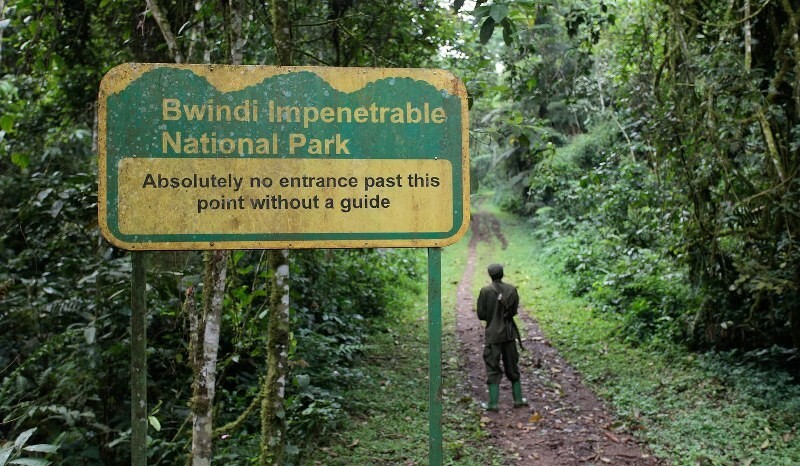 Day 8: Following relaxed breakfast, you go for gorilla trekking in Bwindi that starts by 8:00am lasting 2-8 hours. Day 9: You are driven to lake Bunyonyi where you relax and take a canoe ride to the islands of Africa’s deepest lake where you relax. Day 10: In the morning, you embark on a road trip to Entebbe international airport for departure with a stop at the equator line for photography. Upon arrival for your awaited trip at the shores of Lake Victoria at Entebbe international airport, you will meet a Uganda wildlife safari guide who welcomes you and gives a hand in transfer to your safari vehicle. With a briefing on the whole trip you transfer to a hotel/lodge in Kampala. Upon arrival at the lodge, you check in, relax, have dinner and spend the night as you rest from jet lag and prepare to start the road trip to the countryside the next morning. Early morning after breakfast, a knowledgeable Uganda safari guide picks you up from a hotel or lodge in Kampala for a drive to Murchison Falls National Park. 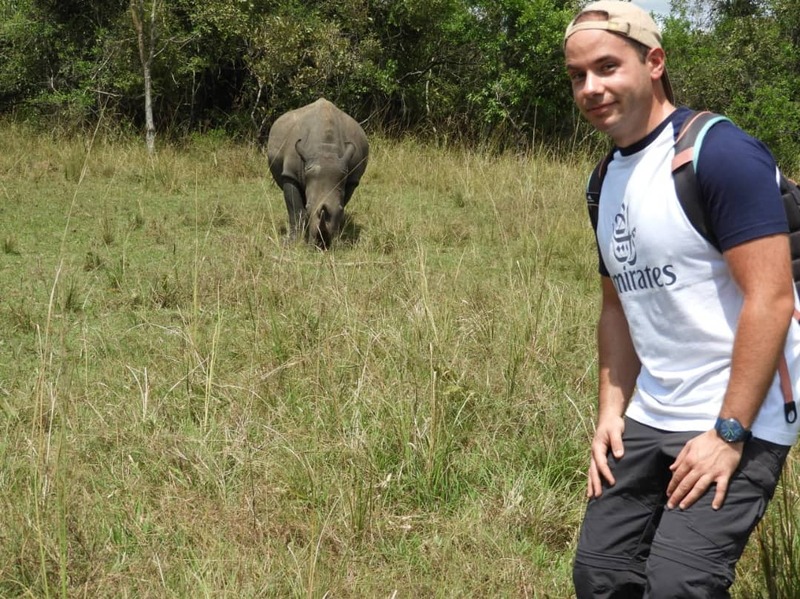 Before arriving to the park, a branch off to Ziwa Rhino Sanctuary after about a 2-3hours drive from Kampala starts off your Uganda wildlife tour experience as you track Rhinos on foot in their only home in Uganda. After about 2 hours of Rhino tracking, you drive for lunch and then continue to Murchison falls park. Arriving in the evening, you check in to a prior booked accommodation in Murchison Falls national park where you relax as you prepare for a game drive, boat cruise and hike the next day. A cup of African coffee starts your day then after you are driven to Murchison falls park for a morning game drive starting at 7:00am for an opportunity to sight several wildlife species. The Elephants, lions, waterbucks and buffaloes alongside other species are part of what you sight this morning. After 2-4 hours of the drive, you then return to your lodge/hotel for lunch or have packed lunch depending on your hotel of accommodation. In the afternoon at 2:00pm, you go for a boat cruise/launch trip to the bottom of the 45m thunderous Murchison falls where numerous hippopotamuses and crocodiles reside. From the bottom of the falls, you hike for about 40 minutes to the top of the falls. After an amazing experience, you are driven back to your lodging facility for dinner and an overnight. Yet another morning to have a chance to see more wildlife species, you take a morning game drive. Driving through the vast savannah plains, you are driven in a 4×4 safari vehicle as you sight more wildlife. After then, you are driven for lunch and then driven past the scenic Albertine rift with a great landscape. You arrive to Hoima in the evening where you check in to Lake Albert Lodge and have bush dinner in the wilderness. You have a relaxed breakfast at lake Albert lodge then your driver guide takes you on a road drive to Kibale forest national park in south western Uganda. Before arrival, you go for a crater Lake tour at Fort Portal, a trail with a picturesque landscape that will amaze you. Arriving in the evening, you check in, have dinner and relax at a prior booked accommodation in Kibale forest national park. You have early breakfast then embark on a drive to Kibale forest park for a chimpanzee trekking experience. Chimpanzee trekking Starts at 8:00am lasting 2-5 hours in the jungle with only 1 hour in the presence of the chimpanzees as you glimpse at them at play, chunk fruits and interact. After chimpanzee trekking, you return for lunch at your lodging facility then transfer to Bigodi wetland (about 15 minutes’ drive) for a nature walk in a wetland filled with several bird species. For dinner, relaxation and overnight stay, you return to your accommodation facility. Early morning, you have relaxed breakfast then be driven to Bwindi impenetrable national park for a Uganda gorilla trekking safari tour the next day. Via Kabale-Mbarara road you drive with cultural lunch en route in Mbarara at Igongo cultural center then after continue to Bwindi forest park. Arriving in the evening, you check in, have dinner and relax at your booked accommodation in Bwindi impenetrable national park as you prepare for gorilla trekking the next day. This morning you go gorilla trekking therefore expect to be up early for breakfast then take a drive to Bwindi forest park for the start of the trek at a specific gorilla trekking sector. 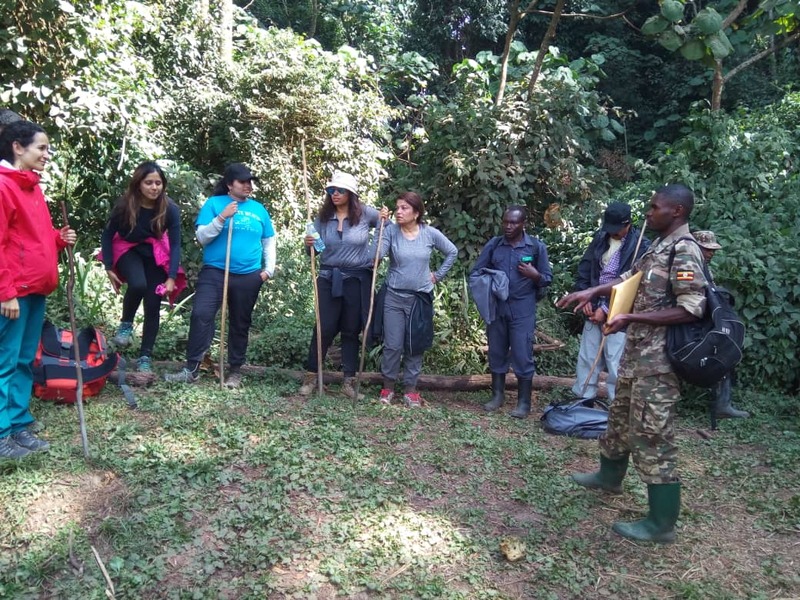 At the trek start point, you go for briefing from the park rangers on gorilla trekking etiquette for about 30minutes starting at 8:00am at the same time you are allocated a gorilla family to trek in accordance to your physical ability. Spending about 2-8 hours in the jungle, only 1single hour is spent in the presence of these gentle giants. A Uganda gorilla trekking tour certificate is received at the end of the trek at the trek start point where you find your driver guide waiting to transfer you back to your lodging facility for an overnight stay. After breakfast at Bwindi, you are driven to Lake Bunyonyi on about 2-3 hours’ drive. From the shores of Lake Bunyonyi-Africa’s deepest lake also popularly known as the lake of small birds you go for a canoe ride to the punishment island. Surviving with only a single tree this island has touching stories of the traditions that happened in this area in the past days. A local guide takes you through the stories of this place for about 1-2 hours then after return to the Lake shores where you relax for the rest of the day. You have early morning breakfast and start off for a drive to Entebbe international airport where you take your departure flight. During this time, you have the opportunity to see the different side of the country driving past the Kigezi highlands along the Mbarara-Masaka road. At the equator line, you stop for an amazing experience as you cross from the southern to the northern hemisphere. In case you need to shop some craft souvenirs, you can stop at either Kampala or Entebbe shops then arrive for departure at the airport. There’s no better wildlife experience than a trip that offers you chance to undertake all the activities that get you close to wildlife. 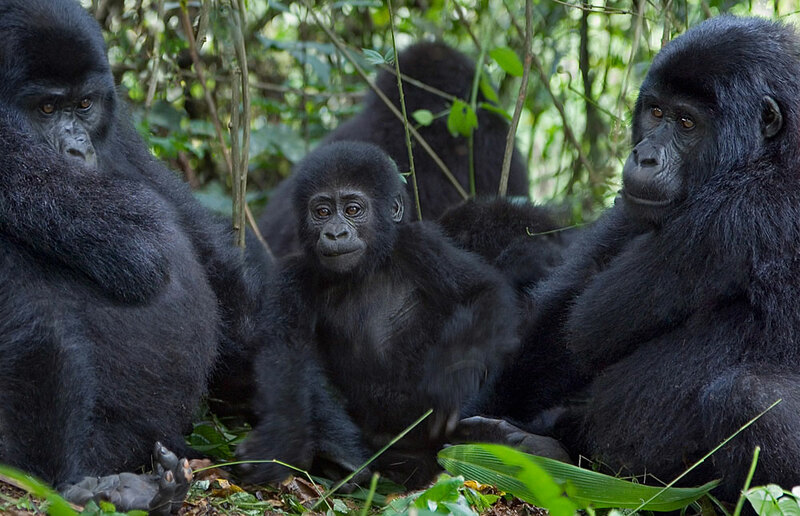 On 9 days to the only countries that host mountain gorillas, a gorilla safari Rwanda or Congo gorilla tour to Volcanoes national park and Virunga national park respectively offer gorilla trekking experiences. Within East Africa, more wildlife experiences, a Kenya wildlife safari or wildlife safari in Tanzania offers more than you can expect. If it’s a bout a Uganda safari, tell us where you want to go and we shall do it your way with our expertise. Discover what the wild can offer in just 10 days.